Bi-Metal Thermometer 6" - Texas Brewing Inc.
3" Dial Thermometer with a 6" long probe. 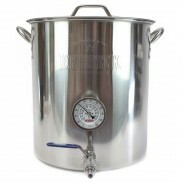 Featuring a large, easy to read 3" face, this thermometer is great for installation in mash tuns, boil kettles, and hot liquor tanks. 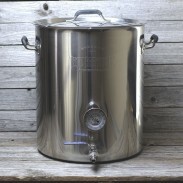 With built in 1/2" MPT threads installation is simple in our Texas Brewing Inc line of Brew Kettles, or can be installed in any 1/2" drilled hole using locknuts, gaskets, and washers. Probe extends roughly 6", for when you need a longer probe to get a more accurate reading in larger brewing vessels. 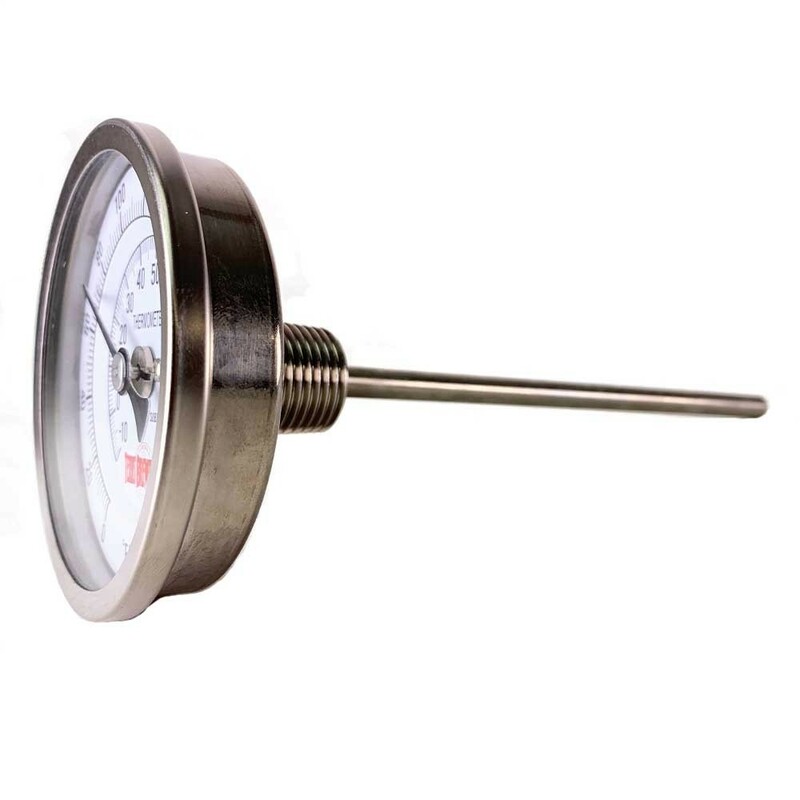 Thermometer range is from 0-220ºF or -10-100ºC, and features a calibration screw on the back. I bought this as part of the materials I'll need to build up my HERMS system. 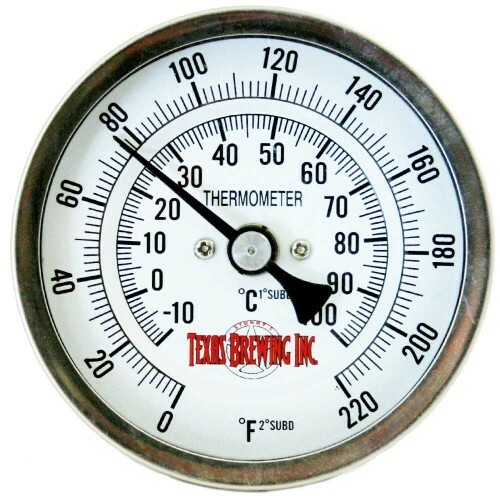 The thermometer is a smart looking unit with the "Texas Brewing Inc" logo printed on the dial, along with a set of graduated readings in Fahrenheit and in Celsius. All markings are crisp and easy to read. I calibrated the thermometer in a teapot full of water set to a roiling boil. Right out of the box the thermometer was was within 1% (reading 98 degrees C). Setting the dial to read 100 C was as easy as turning a screw with a flat-head screwdriver. It only required a slight movement. I set it back into the teapot to make sure of my adjustment and it now reads spot on.